Local organizers of the New Jersey AIDS Walk 2014 are hoping to boost the number of walkers in Asbury Park, one of five sites hosting the May 4 event. In recent years at the Jersey Shore walk, about 100 have participated. This year, representatives of The Center in Asbury Park, a residential AIDs facility on Third Avenue that is hosting the event, are hoping for 250 to 300 participants. Walkers may carry small placards representing those that have died of AIDS or are living with HIV, the virus causing AIDS. All money raised at the local walk goes to The Center, a non-profit, affordable housing facility of 25 apartments for those infected with HIV. The Center, which operates on an annual budget of $600,000, will use the money for such things as food, rent and utility subsidies. “We’re hoping we raise $20,000 with the walk,” Kaeding said. “At least $20,000,” said Patsy Vornhagen, a Center volunteer from Interlaken. Participants are not asked to donate a particular amount of money, or any donation at all, Kaeding said. Walkers could represent business, houses of worship or schools – or simply come out as individuals, Kaeding said. “It’s all sorts of groups of people,” said Kaeding, who also is pastor of the Roman Catholic Church of the Precious Blood in Monmouth Beach. On Sunday, May 4, registration begins at 11:30 a.m. at The Center, 806 3rd Avenue, between Main Street and the railroad tracks. The approximately five-kilometer, or 3.1-mile, walk is between Deal Lake and Ocean Grove. To help publicize the walk, local organizers have scheduled a Kick Off Party, Sun., April 27 from 1 p.m. to 4 p.m. at Johnny Mac House of Spirits, 208 Main St., Asbury Park. The event includes free pizza, prizes, a 50/50 raffle and live entertainment by the Billy’s Fault band. Those wanting to participate in the walk can register at the kick-off. The kick-off was moved from April 13 to this Sunday because of construction work at Johnny Mac’s. Beside Asbury Park, the four other New Jersey walk sites are Ridgewood, Newark, Morristown and Atlantic City. 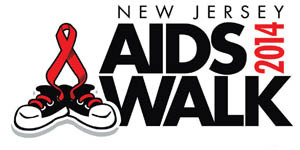 Anyone wanting to donate money toward the AIDS Walk can also do so online at www.njaidswalk.org.